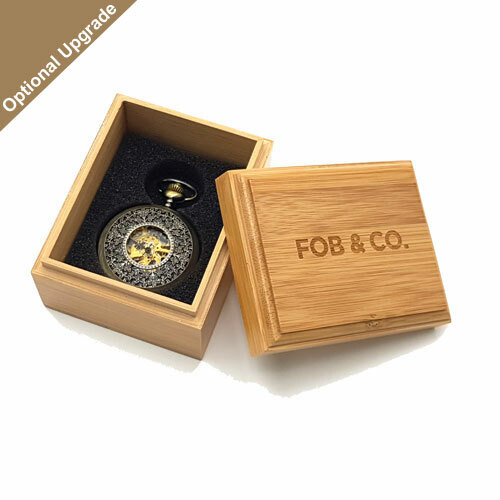 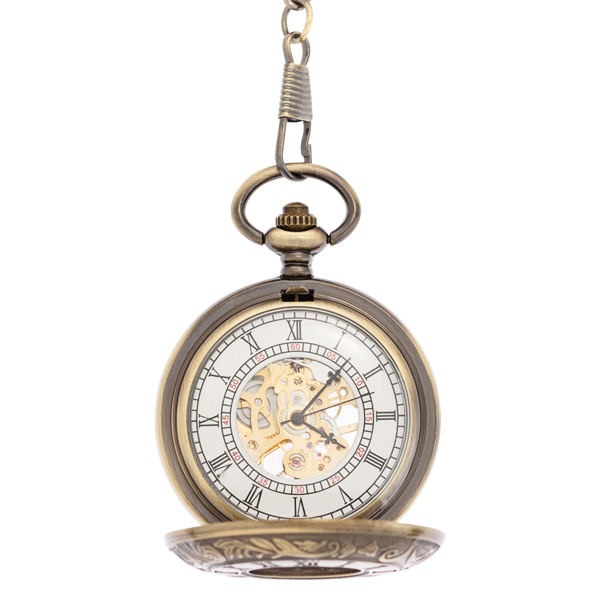 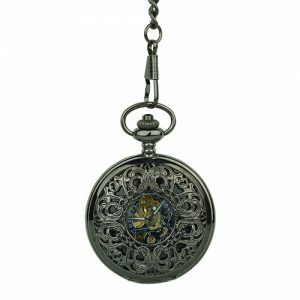 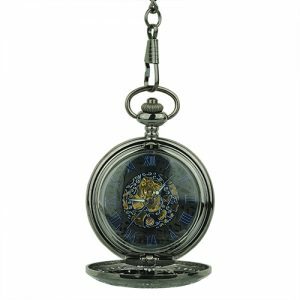 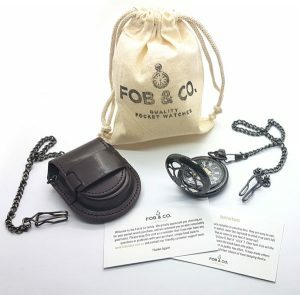 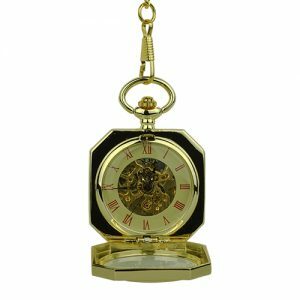 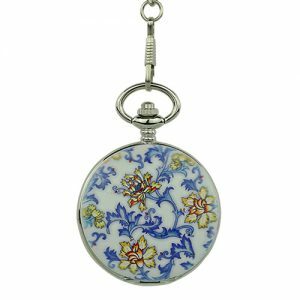 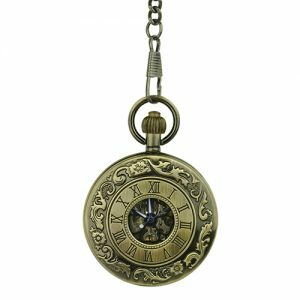 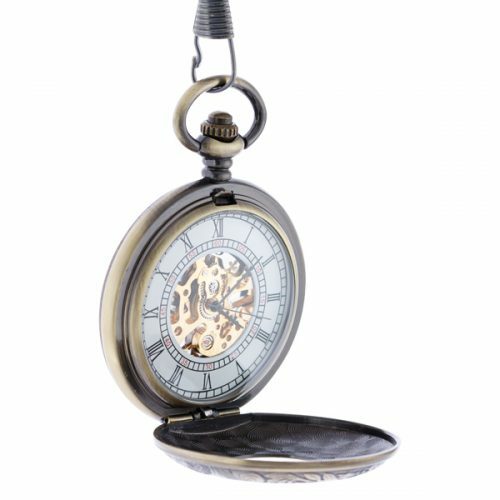 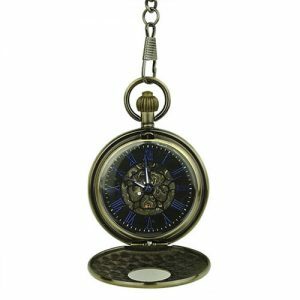 Royal Leaves Half Hunter Pocket Watch - Fob & Co. 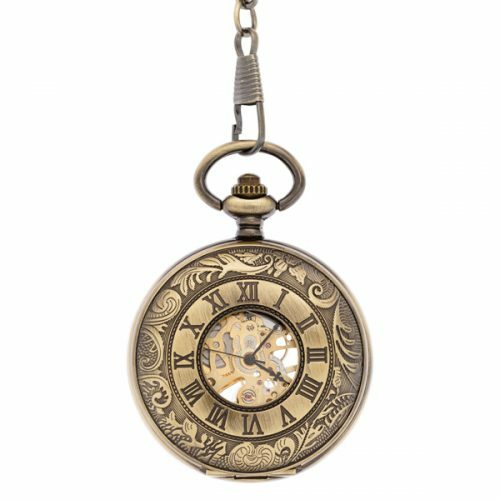 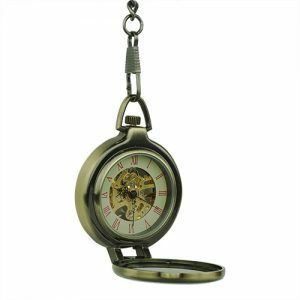 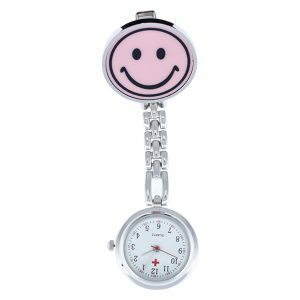 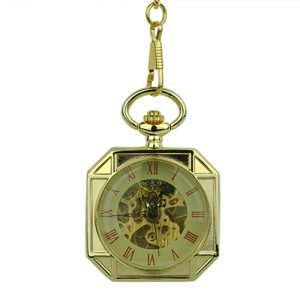 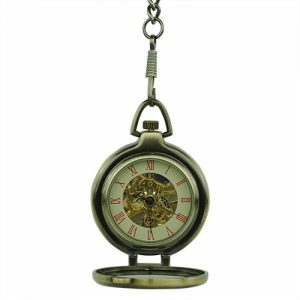 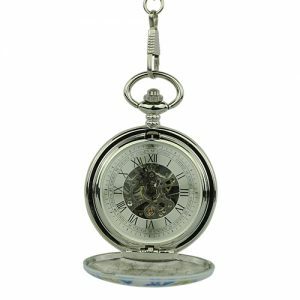 The half hunter cover on this dapper pocket watch features an outer ring of leaves with an inner ring of elegant Roman numerals for the stylish flair. 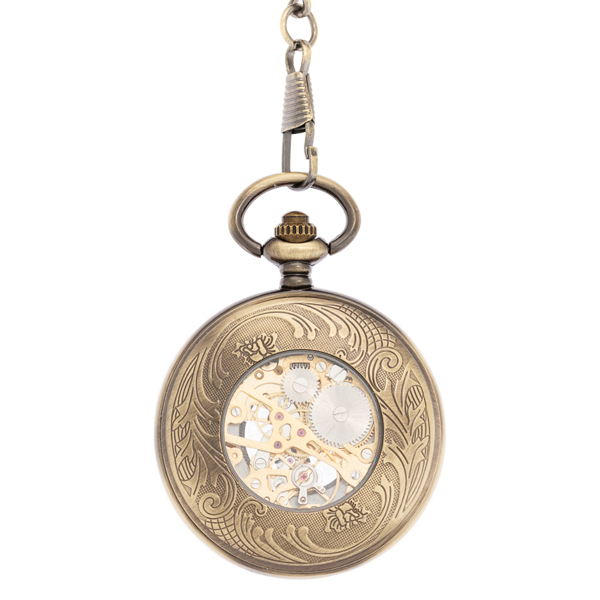 A centre viewing window on this see-through watch allows for viewing to the inner, gold-toned workings.